A summary of some of our lectures to date. In February the Curzon Institute was welcomed by Derby Moor Community Sports College to speak to two groups of Year 10 citizenship students about the Commonwealth contribution to World War 1. The students plan on exploring their personal connections to both World War 1 and World War 2, so our lecture was particularly timely to help in fostering the students’ investigations into their family history. The Year 10 students were particularly interested in the case studies of Khudad Khan and Dr Jessie Scott. Following both lectures we took a poll of how many students knew of family members who had fought in either of the World Wars, with a surprising number of students being aware of their family histories and many others excited to find out more at the end of the school day. One student was so impressed by the presentation that he was intrigued to find out about the presenters personal links to the subject matter, showing a level of engagement that was particularly encouraging. We hope the follow up with Derby Moor Community Sports College our educational tool kit (soon to be launched), which the teachers were very excited about. We would like to thank the College for providing such a warm and friendly reception for the Institute and we look forward to working with them in the future. 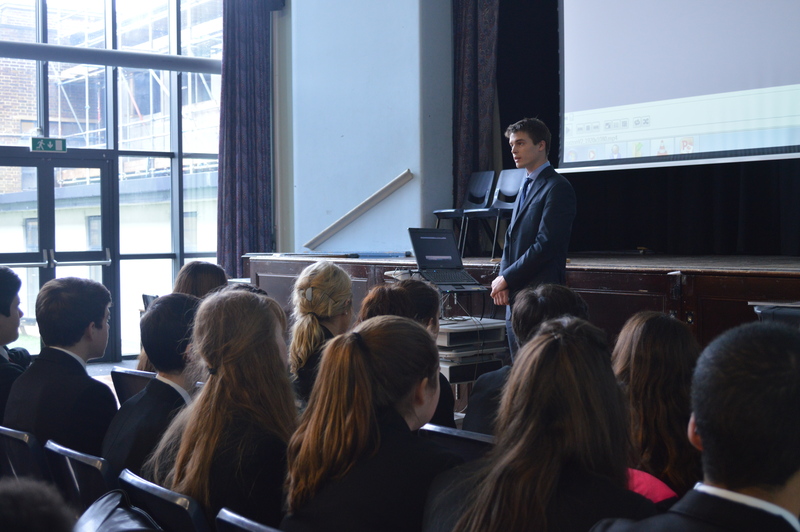 Saltley School in Birmingham was the host of our presentation on Tuesday 11th February. The audience consisted of the school’s Year 9 history students, who were covering WW1 at the time; including the causes of the war and war propaganda. So, the Commonwealth Contribution to WW1 lecture was a timely addition that both enhanced and reinforced their knowledge about the wider implications of WW1. The students really enjoyed the presentation and had so many questions we ran out of time afterwards! However, the ones that we did manage to take were interesting and well thought out. The students were keen to learn more about the personal aspects of the Commonwealth Contribution, with several questions about the long and tiresome journeys Commonwealth soldiers faced as they made their way to the battlefronts. Several girls were very interested in how the Commonwealth, especially geography and socially, changed after WW1. This led to more questions about the relationship between Great Britain and the Commonwealth countries today, especially given the huge sacrifices that were made in WW1. Other students wanted to explore more about the military relationship between Great Britain and the Commonwealth at the time, asking specific questions about how the advances in military technology, covered in the lecture, were shared between the Commonwealth countries. The Curzon Institute was incredibly impressed with the enthusiasm and high levels of knowledge that Saltley School Year 9 history students displayed and we look forward to working with them in the future. The Curzon Institute was honoured to present at Dialogue Institute, partnered with Faith Matters as part of their armed forces engagement engagement project. Hugo Clarke shared the stage with Imam Hafiz, an Islamic adviser to the Ministry of Defence and previously a military chaplain. The debate was lively and engaging, with questions about how the legacy of the Commonwealth contribution can help to engage young ethnic minorities in the UK today with the work of military. The audience were impressed with how diverse and flexible the talk was, with suggestions that the lecture be delivered at diverse religious institutions across the country. Hugo Clarke spoke to students and members of the community at Leicester Grammar School about the Commonwealth Contribution to WW1. The lecture was aimed at history students, but was publicised widely within the community with a remarkable attendance of around 230 people. Following the presentation Hugo fielded questions on the effects of WW1 on specific countries, the nature of standing armies at the time. The audience posed insightful and relevant questions on what the personal implications of Muslim Indians fighting Muslims Turks, for example at Gallipoli campaign, were and how these were addressed at the time. The audience were keen to address the social side of the Commonwealth Contribution, especially the racial segregation that would have occurred in the armies during WW1. We would like to express special thanks to Andrew Picknell for organising such a wonderful event, which we were very pleased to be part of. The first week of February marked the official UN World Interfaith Harmony Week. As part of this celebration, and the centenary of WW1, The Curzon Institute was invited to Shah Jahan Mosque, the first purpose built mosque to be built in the UK in 1889. 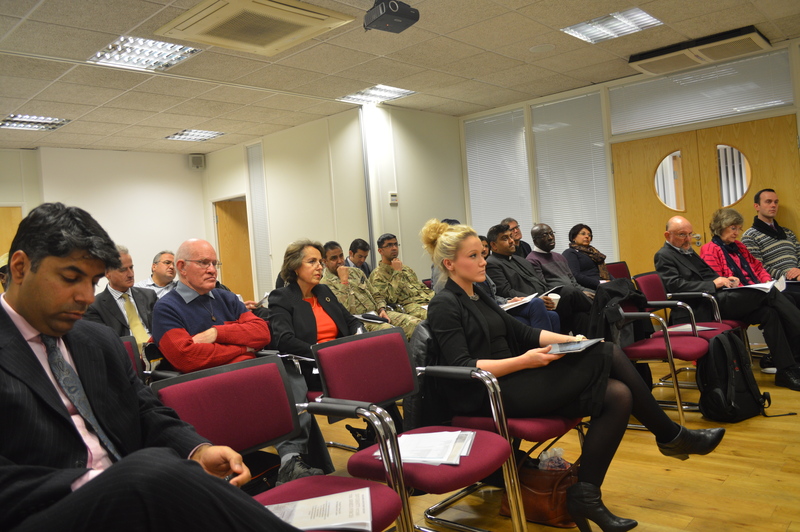 Hugo Clarke appeared on a panel with Jahan Mahmood, a military historian and Brigadier Mark Abraham OBE, the Chief of Staff Headquarters Support Command. Mr. Mahmood spoke specifically about the roles of Muslim soldiers in WW1 and WW2, and this was built on by Mr. Clarke’s lecture on the wider Commonwealth contribution to WW1. Brigadier Abraham spoke about the role of faith in the armed forces, and the diversity that exists within the armed forces today. The event was followed by a networking lunch between speakers and participants. 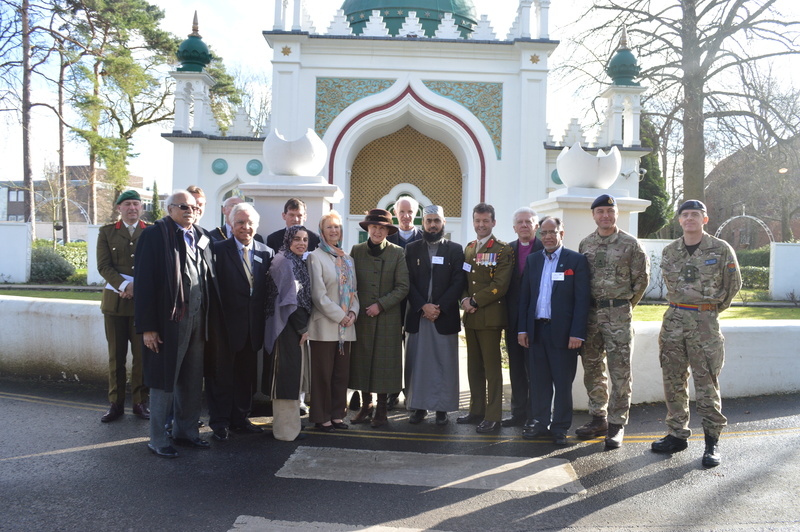 The mosque plans to cultivate its own links with Commonwealth soldiers who fought in both World Wars by developing a Peace Garden in addition to the current WW1 war memorial in its grounds.